TheRustedChain - The Blog: Instant Gourmet. 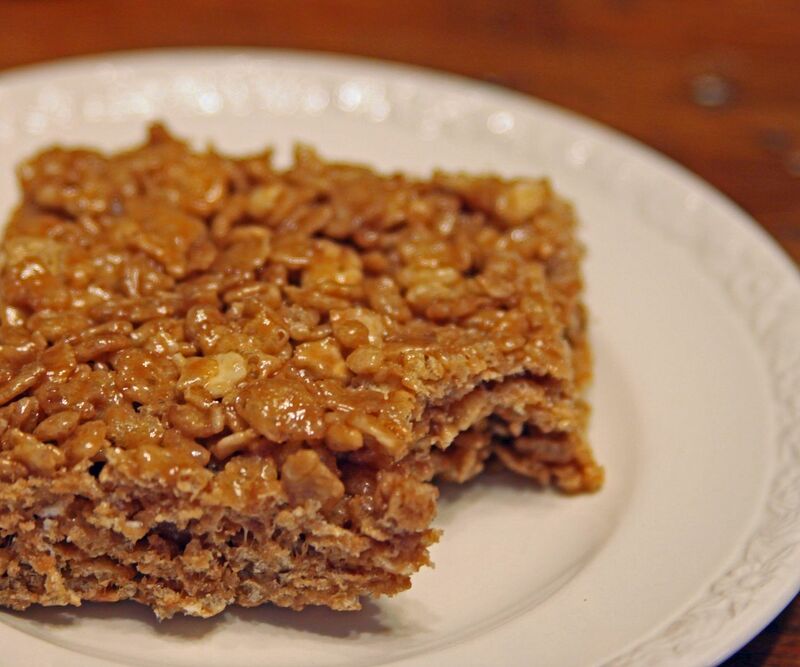 You know how to make rice krispy treats, right? Marshmallowey gooey peanut buttery krispy little delights. But, an easy and quick update on the classic is to substitute Nutella for the peanut butter. Hazelnutty chocolatey gooey krispy little squares of heaven! 1. In large saucepan melt butter over low heat. Add marshmallows and stir until completely melted. Remove from heat. Stir in Nutella until melted. Take them to your neighbors, office, kid's class, Sunday School group, whatever. Oh good grief!!! What are you trying to do to me????? You know I'm going to have to try that now don't you???? I love-love Nutella, so of I go to the store in pouring rain to get the marshmallows and the rice krispies so I can make these !! LOL I am so excited about them !!! Wow! What a super recipe! Hmmm . . . sew Christmas presents, or make these? I need to ask that you please don't post anything else that looks this good. I have no willpower. I love rice krispie treats and just learned of Nutella...YUM! A must try! Thank you for sharing! or eat them all yourself? Sounds yummy! Wish you were my neighbor. Mmmm! Girl, you should write a cookbook. Your recipe ideas are fabulous! Yum!! I will have to try this! Oh. My. You are evil. You know that, right? OK, so I have made the treats once. Wait, what? Peanut butter? Was I supposed to put in peanut butter? UH OH. ANd yeah to the nutella. I am pretending that it is VERY HEALTHY and good for you because it is the ONLY WAY to get my girls to eat breakfast. My girls Love Nutella! We're making these on break! Thx!